Abby Cooper is a shifter. For the most part she has gotten over the trauma of being kidnapped by vampires and held hostage for days. 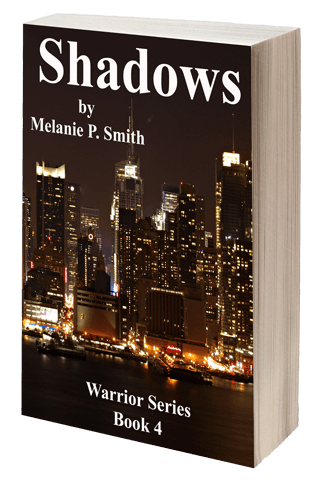 The one thing she can’t get over, is her attraction to Thomas Deveraux; one of the warriors that rescued her. She knows she doesn't stand a chance, she’s a nobody and he’s practically a celebrity. As the war rages on, Abby forces herself to admire Thomas from a distance. But when she sees a woman drug him at dinner, Abby can’t resist her need to help. When that same woman is found dead later that night and Thomas becomes the prime suspect, Abby’s determination to protect Thomas intensifies. As more and more bodies are discovered, Abby enters a dangerous game where her adversary is not only a killer but also the police. Can Abby find the answers they need? Will Thomas ever see her as a woman, not just a friend? Or will both of their lives be altered forever? Well, you did it again! I love this book too. Can’t wait to see what 5 brings. Will it be about Bastian? Maybe Atticus and Tala? Can’t wait.